Malta is fast moving to the forefront of Digital innovation in the Blockchain/ Distributed Ledger Technology (DLT) sphere. The Innovation Technology Arrangement and Services Act. The new law will introduce a mandatory licensing regime regulating DLT Assets including Virtual Tokens and Virtual Financial Assets. This will lead to facilitating the operation of Initial Virtual Financial Asset Offerings (ICO’s) as well as DLT Asset Exchanges from Malta. The act is on a voluntary registration and certification of Innovative Technology Arrangements and of Innovative Technology Service Providers. It has also been developed in a way that it can be flexible so as to encompass new innovations in the Artificial Intelligence and Internet of Things technologies areas. New regulations and guidelines complementing the legislation are expected to be published in the next few weeks enabling the new sector to fully in place in the next few weeks.  IMS is embracing this new FINTECH sector. We are available for further information as may be requested.